Virginia Scott’s article, “Multi-competence and language teaching” was published in the The Cambridge Handbook of Linguistic Multi-competence. To read the article here. Patricia A. Ward, Professor Emerita, authored an essay, “Continental Spirituality and Eighteenth-Century British Protestant Readers,” pp. 50-71 in Heart Religion: Evangelical Piety in England and Ireland, 1690-1850, ed. John R.D. Coffey (Oxford University Press, 2016). Jessica Greenfield was selected by the Center for Teaching to be one of the Junior Faculty Teaching Fellows for the 2016-17 academic year. William Franke gave an inaugural lecture (“Liberal Arts Education in East Asia: The Unspeakable Basis of Comparative Humanities”) for the opening of a new School of Foreign Studies in the Beijing Capitol University of Business and Economics (CUEB), May 26, 2016. He also conducted a 2016 summer-semester block seminar on “Apophatische Theologie und neuzeitliche Philosophie” (Apophatic Theology and Modern Philosophy) in the Philosophy Department at the University of Frankfurt, co-taught with Prof. Wilhelm Essler. For a list of his publications this year, click here. 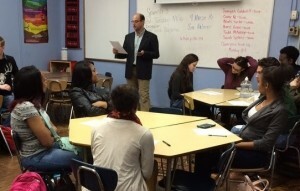 After a Spanish teacher from MLK Magnet School in Nashville tragically died in an automobile accident, Paul B. Miller helped out by teaching courses to the AP Spanish students. Black Legacies: “Race” and the European Middle Ages. (Gainesville: University Press of Florida, 2014). Paperback edition: July 2016. Ramey, Lynn, and Rebecca Panter. “Collaborative Storytelling in Unity3D: Creating Scalable Long-Term Projects for Humanists.” Interactive Storytelling. Ed. H. Schoenau-Fog et al. Vol. 9445. Lecture Notes in Computer Science. Springer-Verlag, 2015: 357–60. Workshop on “Exploring the Middle Ages through Digital Humanities: Cyprus, Crossroads of the Medieval Mediterranean.” University of Sydney, Australia. June 2016. ”Medieval French Language and Culture in an Immersive Environment.” Department of French Studies, University of Sydney, Australia. June 8, 2016. ”Learning and Researching Medieval Language and Culture in an Immersive Environment.” School of Arts, Languages and Cultures, University of Manchester, UK. April 14, 2016. Workshop on ”Introduction to Creating Immersive Environments in the Classroom in Unity 3D.” School of Arts, Languages and Cultures, University of Manchester, UK. April 15, 2016. University of Sydney, Australia, International Research Collaboration Award for “Exploring the Middle Ages through Digital Humanities: Cyprus, Crossroads of the Medieval Mediterranean.” June 2016. approx. $10,000. Vanderbilt University International Research grant, “Exploring the Uses of Digital Mapping, Modeling, and Web-Based Resources,” January to July, 2016. $10,000. Keynote Speech: “The Tradition of the Chinese Classics and the Aspiration to Universality: An Essay in Comparative East-West Poetics” (with simultaneous translation into Chinese) at the International Symposium on “The Orient vs. The Occident: Cultural Exchanges and Influences,” Foreign Language Department of Capital University of Economics and Business, jointly organized by the Chinese People’s Association for Friendship with Foreign Countries, Capital International Culture Research Center of Beijing Language and Culture University, and the Comparative Literature Studies Center of Soochow University. (Beijing, November 27-29, 2015). In October Franke gave an address on “Liberal Arts Education in the East Asian University: The Unspeakable Basis of Comparative Humanities” at a Symposium on “Liberal Arts in the Age of Globalization” for the 10th Anniversary Celebration of Underwood International College, Yonsei University, Seoul, South Korea (October 28, 2015). He also participated as a featured speaker with other professors of comparative literature in An International Summit Dialogue and Forum at the School of Chinese Language and Literature, Beijing Normal University on “What Is World Literature? Tension between the Local and the Universal.” (October 24, 2015). Following this event he gave a lecture and a follow-up seminar on “Apophatic Paths from Europe to Asia: A Personal Philosophical Journey” at the Center for Zhouyi and Ancient Chinese Philosophy, Philosophy Department, Shandong University, China (October 20, 2015). Paticia Ward gave an invited paper in September on ” Fenelon et la culture américaine” at a colloquium, Lectures et Figures de Fénelon, held in Cambrai and in Paris at the Sorbonne under the sponsorship of the Universities of Lille and of Paris and of the Ville de Cambrai and the Conseil Régional Nord – Pas de Calais.While she was in France, Professor Ward attended a reception for Vanderbilt alumni living in Paris and others in an alumni travel group visiting Paris; she gave a talk on Kate Lupton, 1859-1897, the first woman to receive a Vanderbilt degree, and her connections with France. The Harvard University Center awards fifteen Villa I Tatti Fellowships annually, each for twelve months, for post-doctoral research in any aspect of the Italian Renaissance from the 14th to the 17th century. 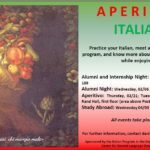 Fellows live in the Florence area and have access to the extensive Villa I Tatti library, archives, and Medieval and Renaissance music and art collections. The villa’s location provides a setting where scholars from around the world exchange ideas and carry out their research. A regular series of conferences, seminars, lectures, and concerts provides the opportunity for appointees to share and discuss their work with each other and the broader community. Dr. Filosa will be researching the unsuccessful coup of December 1360 in Florence Italy. The Florentine Republic blamed twelve people, including close friends and neighbors of Giovanni Boccaccio. Dr. Filosa’s project investigates the political dynamics of the conspiracy, the motives behind it, and its consequences on Boccaccio’s life and writing. Professor Robert Barsky’s newest book applies insights from the realms of language theory, literature and law to the complex interaction between undocumented immigrants and host countries. Published by Routledge Law, it will appear in the summer of 2015.